PESHAWAR, Dec 3 (APP): The Governor Khyber Pakhtunkhwa Engr. 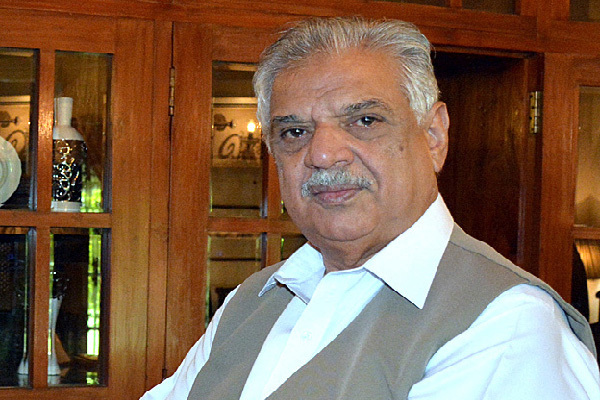 Iqbal Zafar Jhagra has said that modern medicine thrives on research and exchange of ideas among professionals for their useful application aimed at welfare of the people. This he said while addressing the Annual Conference of the Pakistan Society of Cardiovascular and Thoracic Surgeons arranged by Rehman Medical Institute here at a local hotel, Peshawar on Saturday. Besides, Prof. Dr. Muhammad Rehman, Maj. Gen. ® Asif Ali Khan, Specialists, Doctors, Nurses and Medical students in large number also attended the conference. While addressing the participants of the conference the Governor said that such conferences go a long way in improving the quality of medical care and can give birth to ideas that, in the future, may revolutionize the way a patient can be helped. He also hoped that the exchange of ideas and sharing of experience by professionals from different hospitals and other institutions will go a long way in understanding the challenges and finding solutions. Later on, the Governor also gave away shields to the best cardiac surgeons; the Governor also visited and inspected the medical equipment and medicine stalls.